Stephen King is become horror. The nostalgia revival train keeps on chugging. 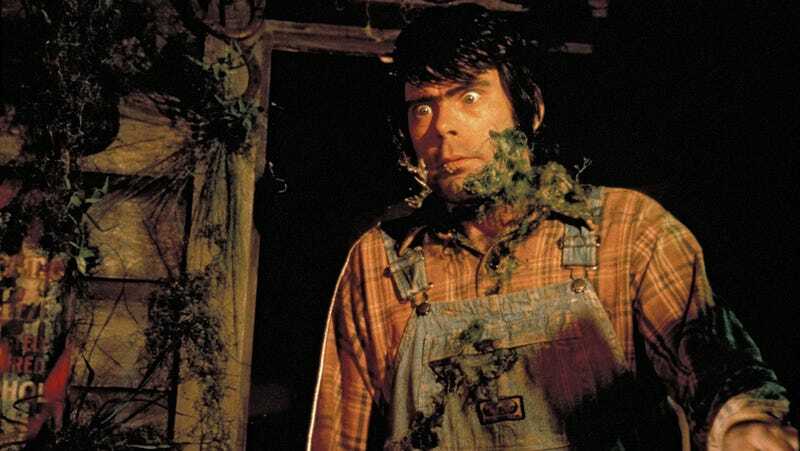 This time it’s George A. Romero and Stephen King’s ‘80s anthology Creepshow. It’s being turned into a television show this time and it has the perfect creator attached. In a release from horror streaming service Shudder (owned by AMC) today, Greg Nicotero said, “Creepshow is a project very close to my heart! It is one of those titles that embraces the true spirit of horror…thrills and chills celebrated in one of its truest art forms, the comic book come to life! I’m honored to continue the tradition in the ‘spirit’ in which it was created.” Each episode of the anthology series will have a different director. Nicotero, who visited the set of the original film back in the day, will be taking on a lot for the new series, serving as director and executive producer, as well as supervising the show’s “creative elements.” He’s of course a master make-up effects artist having worked on Romero’s Day of the Dead back in 1985 and going on to have an incredibly extensive career in the industry. His work on The Walking Dead and Fear the Walking Dead was probably also a great “job interview” for this new gig.